How many OT's still use hand keys? eHam > eHam Forums > CW > How many OT's still use hand keys? RE: How many OT's still use hand keys? I use a keyboard for typing responses to internet forums. Works, but not a lot of fun! Old Timer? Well, I suppose so since I got my ticket nearly forty years ago but I don't think of myself as old. I have a set of Italian made paddles on the desk (the manufacturers name escapes me) and for straight key operation I have a Kent and a NATO key. The NATO key is the better of the two. I've been licensed for 54 years. You, sir, are still a young puppy!! Who are you guys calling an old timer? I'm only 71. I have tried them all, and still have most of them in boxes here and there. I put my vibroplex on the desk 'cause it looks cool. But I am still using the same old straight key I learned on many years ago...got me from Novice to Extra in less than two years...and lots of great QSOs. 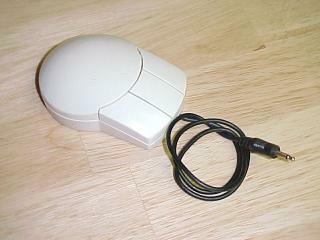 PiCK iambic keyer IC inside a 3 button mouse. On the plus side it's a self contained keyer/paddle with memory. Works, but it's mostly a novelty. Newbie here - only 54 years pounding brass. Oh how I love my straight key. A straight key is like a woman. All of them are beautiful - some are more so than others. Right now my key is the Bencher SK. When I want to speed up I get out my paddle set. Most of the time I am on my SK at slower speeds. I operate ssb one weekend a year: Field Day. As to the original question that started this posting, I am still waiting for the "suffering" to start. Perhaps it will - ask me in another 54 years. I have : J-38 (I LIKE that key ,MYSELF), another oldie "telegraph" style on walnut. My personal favorite : I needed to key my spark tx ( oil burner transformer), so I made an mahogany "extension" and enclosed 120 VAC on a key inside a wooden box. The extension exits the box in a narrow slit and it what is tapped to send Morse.So bottom line : key safely enclosed in box.But I STILL WOULDN'T TRY THIS AT HOME KIDS. I use an electric corp key upstairs studio A but I make my own keys now from Wood including the spring and far prefer them to any other. A wood spring stays in your fist no matter what. As a ham of only 20 odd years I don't consider myself an old timer. I did start out with a straight key and went to paddles when I hit 18wpm. Paddles were too easy and no challenge so I picked up a bug. Loved the challenge and the feel. I now have about 65 bugs made between 1906 and 1945. I use them all and generally have 4 or 5 inline and switch them out every so often. The bugs look natural in front of the all tube HF rigs.